Because we are spending 99% of our time either at work, sleeping, eating, or doing home renovations, we are not cooking. Or, I am not cooking. Alex is enjoying the new grill we bought a few weeks ago, and I am enjoying spending a few minutes each day uploading one billion pictures onto Flickr of our new house. We've been eating burgers, hot dogs, and grilled chicken and salads, so no posts. Sorry. Summer!! This is the kind of thing I have been making. 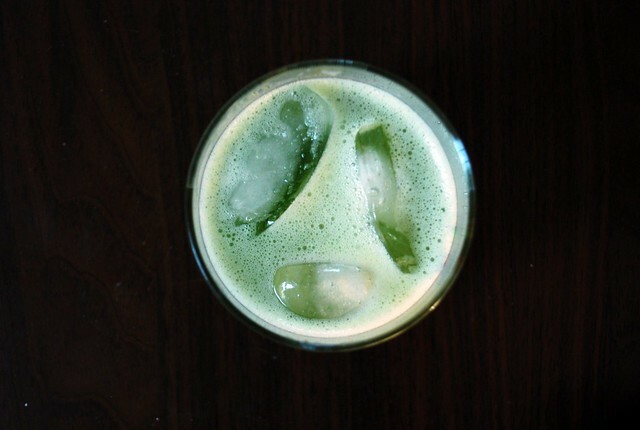 Throw some things in the blender, strain it, and drink with ice cubes. another fun thing to add would be some watermelon in here, but I was too lazy to cut some up. Combine the cucumber, mint, sugar, and half the water in the blender. Blend until there aren't any big pieces left, then strain into a pitcher. Stir in the rest of the water. Maybe add some gin or vodka to your own glass, maybe not. 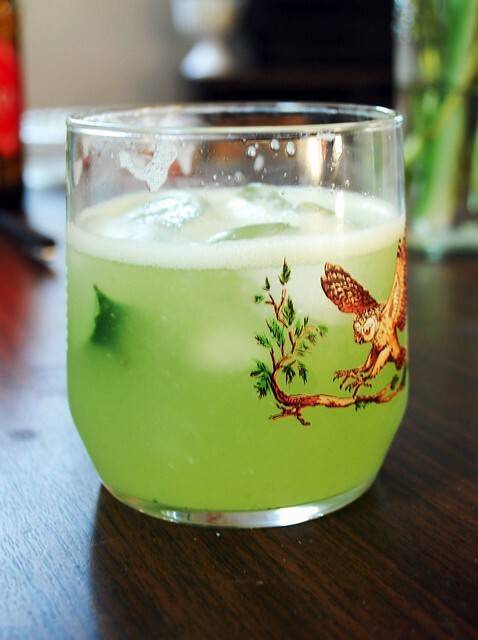 Serve cold, with ice and mint sprigs. This looks very refreshing. The cucumber is it with skin on?